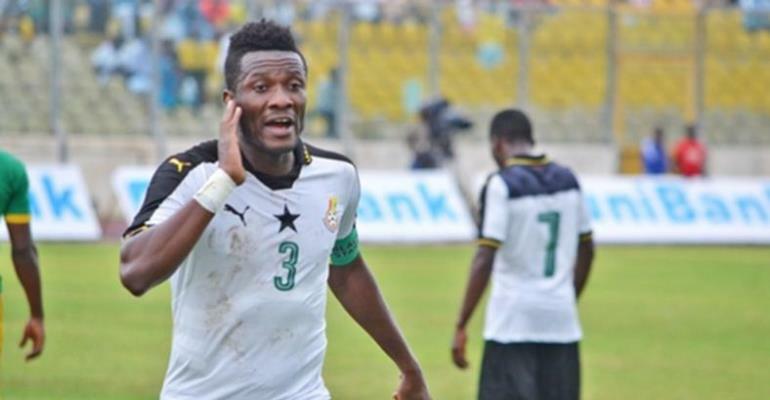 Ghana's all-time top goalscorer, Asamoah Gyan has hinted that the currently Black Stars players have what it takes to win the 2019 Africa Cup of Nations (AFCON) without him. The Kayerispor forward has played in six Africa Cup of Nations since 2008 and have scored in every single game for the country but have failed to lead the country to win the ultimate. After enduring a torrid season with Kayerispor in the ongoing season, the 31-year-old was dropped from Ghana's squad that played against Kenya in the final round of qualifiers. Ahead of the 32nd edition of Africa's most prestigious tournament, football enthusiasts in the country have called on Coach Kwesi Appiah to exclude the former Sunderland and Udinese Calcio striker from his final squad for the tournament in Egypt. However, Gyan beleives Ghana have what it takes to end their long wait for a continental title without him. “Ghana can win AFCON 2019 without me," he told Asempa FM. "Ivory Coast won the Africa Cup of Nations without Didier Drogba and France won the FIFA World Cup without their talisman Benzema. “I have even been left off the bench in some Black Stars games before, so the decision resides with the coach to decide whether to select me for the Africa Cup of Nations or not. “If I am not included in the team, I will support them anyway and if I go as a player who will start from the bench, I will motivate the young ones to give off their best”. he added.